Are you uncomfortable with your convex mirrors and want to replace them? Did you know that you can replace your cars convex mirrors with flat glass mirrors and still be Australian compliant? Replacing the entire assembly can be very expensive. Mirrors4cars can save you money and custom craft a piece of mirrored glass to replace your broken or convex mirror in just a few short minutes and have it on your door step, across Australia or New Zealand the very next day! With the recent design changes in new cars here in Australia, there has been a bit of controversy over the use of convex mirrors. These convex mirrors have been proven to be safe and provide a wider field of vision. 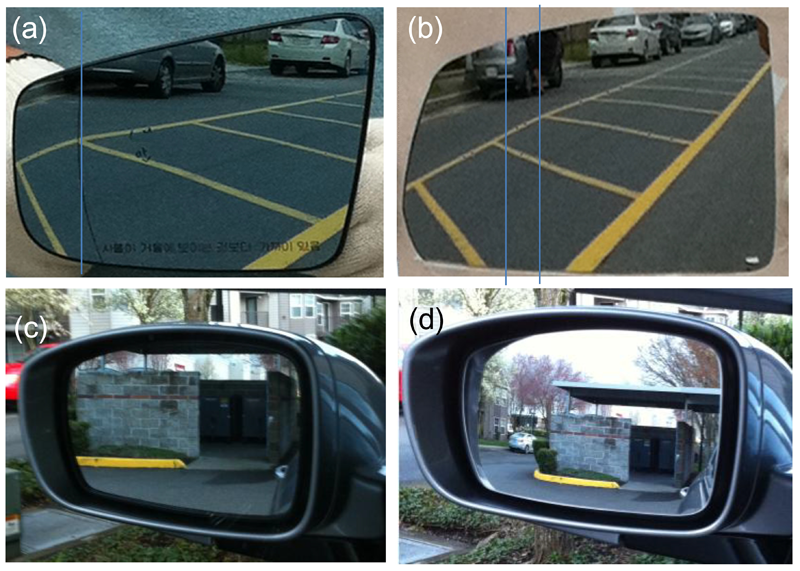 But the shape of these mirrors compresses what the driver sees and presents an illusion that there is a greater distance between cars than there actually is. If you are like so many people who prefer flat mirrors, Mirrors4cars can save you money and replace the existing mirror without replacing the entire assembly. full instructions via video links showing the installation process. Mirrors4cars has the ability to do fleet, insurance, and government work as well. If you require a full Assembly Replacement we can help there too ...!